Huawei lawsuit against US: Can the firm succeed at what Kaspersky failed? Growth of the domestic auto components industry is expected to soften to 10-12 per cent during FY20, compared to 15 per cent projected for this financial year. 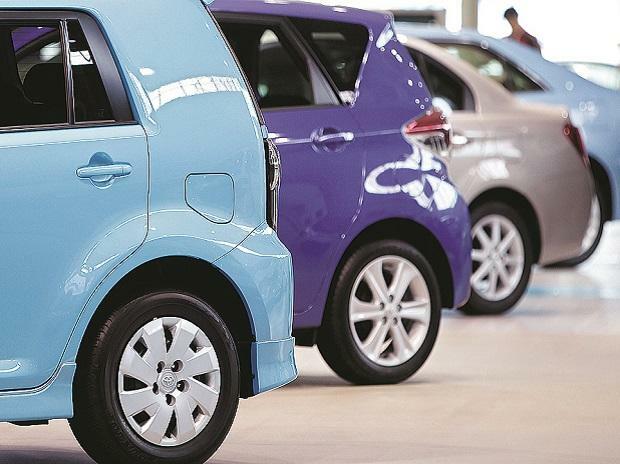 Though commercial vehicles volumes are set to remain firm given the potential pre buying ahead of the implementation of BS-VI emission norms from April 2020, the potential weakness in passenger vehicles sales will drag growth. Operating margins for the auto components industry are forecast in the range of 13.5-14.5 per cent over the medium term despite modest pressure in the medium term. According to a report by ICRA Research, the depreciation of Indian rupee will exert pressure on imports. The weak rupee alongside pressure on commodity prices will impact margins. In FY2019 though, the domestic auto components industry is on track for 15 per cent revenue growth, backed by growing OEM (Original Equipment Manufacturers) volumes, improved realisations and content per volume. For the last two to three years, the auto components industry has hit a purple patch, driven by robust demand. Demand has been buoyed by higher capacity utilisation. Prospects of a favourable demand over the medium term have also triggered capacity expansion by several ancillaries. On the back of this sustained demand, the auto-components industry with the exclusion of tyres, is likely to sustain its Capex (capital expenditure) investments at six to seven per cent of its operating income over the next two fiscal years. ICRA notes that given the strong accruals, industry-wide credit profile is expected to be stable over the next three years. The ratings agency expects some consolidation in the component industry as players gear up to tackle challenges emanating from rapidly evolving technology and shorter vehicle shelf life. With enhanced active and passive safety requirements, tighter emission control norms and advanced driver assistance and infotainment requirements, electrical content in vehicles is set to increase. The phenomenon will spur higher imports till investments are parked in to indigenise technologies. Last months, the Auto Components Manufacturers’ Association (ACMA) had written to the Government of India, demanding imposition of Minimum Import Tariff on aluminium alloy wheels for two-wheelers sourced from China. Due to subsidy provided by the China government, the domestic auto components companies were in soup, unable to compete with the cost effective imported products. According to the ACMA, there is an annual requirement of around 35 million alloy wheels in India for two wheelers, out of which only 13 million wheels are being produced by domestic manufacturers while the remaining around 22 million wheels are being imported, mainly from China. The government has levied anti-dumping duty on four-wheeler alloy wheels imported from China, Korea and Thailand for five years from the date of imposition of provisional anti dumping duty on April 11, 2014, and the duty is valid up to April 10, 2019.